Jensen Car Club of Australia Inc. 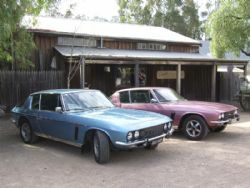 The Jensen Car Club of Australia Inc was formed in 1987 as an amalgamation of two clubs. 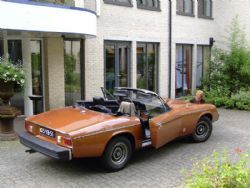 In Victoria back in 1981 the Jensen Interceptor Car Club was formed followed in 1983 by the Jensen Healey Owners Club. These two clubs merged and took on a national presence that boasts around one hundred and seventy members today from all States across Australia. The club roots go back to the original founder in 1981, Graeme Watkins who owned a Interceptor and from an initial meeting of a dozen like minded enthusiasts the club now shares its experience, technical advice and knowledge in a range of ways with its members. The club conducts an Annual Rally each Easter and this year it was held in Echuca. 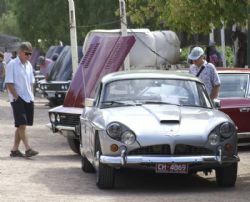 For 2009 the event is slated for Canberra and the club encourages an informal gathering and doesn’t get caught up in concourse level participation. At the annual rally there is one award on offer – the People’s Choice Award that is voted on by all in attendance. They also conduct their AGM at this event. Festivities kick off on the Friday and run through till Sunday allowing interstate travellers the Monday to get home after sharing many stories and experiences with other members. Jensen has an interesting history and was an extremely innovative firm. They had many firsts in their history including back in 1965 offering all wheel drive with anti-lock brakes, the first production four seater with four wheel disk brakes back in 1956 and also in the fifties their 541 was the quickest and fastest accelerating saloon car in Britain. They were pioneers in the use of fibreglass in production vehicles and produced models between 1954 and 1966 made of this material. The company did not build many of their own vehicles. Between 1936 and 1966 the company produced just twelve hundred vehicles but did a lot of work for other manufacturers. Between 1953 and 1967 they built seventy four thousand bodies for Austin Healey and were involved in building all seven thousand Sunbeam Tigers. They also built the first six thousand units of the ageless Volvo P1800. If you are interested in the Jensen marque and history Richard Calver has produced his third book titled A History of Jensen – All the Models. You can check out Richard’s website at www.richardcalver.com for more information. Membership fees are seventy dollars annually and along with the Annual Rally there are a number of member benefits. The best one is their quarterly magazine that averages fifty pages of detailed information reflecting member interest in the different models and covering everything from the social aspects of the club to highly technical information. 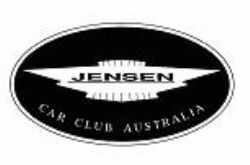 If you are interested in joining the Jensen Car Club of Australia check out their website for all the relevant membership details.